Raised in Greenbrier, Tennessee by lifelong educators, Dr. Danny Weeks learned the value of an education, a Christian home, and the importance of hard work and dedication. Dr. Weeks attended public schools in Robertson County (TN), graduating from Greenbrier High School. Dr. Weeks earned his Bachelor of Science degree in Elementary Education from Austin Peay State University in 1987. Dr. Weeks became active in the Student Tennessee Education Association, serving as State President for two years. Dr. Weeks entered the graduate school of Austin Peay State University earning his Master of Arts in Education in 1989 and the Educational Specialist degree in 1991. Dr. Weeks earned his Doctorate in Education from Tennessee State University in 1994. Dr. Weeks’ career as an educator began as a mathematics teacher at Greenbrier Middle School (Robertson County, TN). Two years later he moved to Greenbrier High School also to teach mathematics. In the Fall of 1995, he became Assistant Principal of East Robertson High School in Cross Plains, TN. Then in 1997, he became Principal of White House Elementary School, White House, TN. In 2000, Dr. Weeks moved to the Robertson County’s Central Office, to serve as Supervisor of Student Services, where he later served as Supervisor of Secondary Education. He soon advanced to become Assistant Director of Schools where he served for seven years in the 11,000 student school system. Dr. Weeks has been recognized as an Outstanding Young Men of America, The Tennessean’s Top 40 Under 40, Who’s Who Among America’s Teachers, Robertson County’s Secondary Teacher of the Year, and twice recognized as the Robertson County Education Association’s Distinguished Administrator. Dr. Weeks has served as an adjunct professor of education at Austin Peay State University, Argosy University, and currently teaches educational leadership classes through Union University at the Hendersonville, TN campus. Dr. Weeks has also been very involved in the Robertson County Education Association, Tennessee Education Association, and National Education Association, serving as local treasurer, Middle Tennessee President, and Middle Tennessee’s Administrator on the Board of Directors. Dr. Weeks is an avid supporter of high school athletics. In the Spring of 2016 he was elected to the Old Hickory Credit Union Board of Directors. He faithfully serves his church (First Baptist Church, Greenbrier) as Sunday School teacher, Deacon, member of many committees and serves as church organist. Dr. Weeks is married to Annette Walker Weeks. They have one daughter, Emily. 2012. Dr. 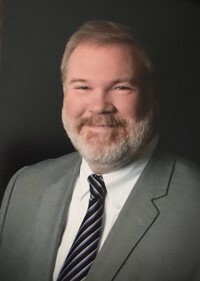 Weeks serves on the Tennessee Organization of School Superintendents’ Board of Directors and was selected as the Mid-Cumberland Superintendent of the Year in 2017.